Every national cuisine has wonderful cooked-in-one-pot dishes which can be put together with a minimum of fuss yet give maximum flavor and take advantage of economical seasonal ingredients. One-pot dishes fit perfectly into a busy, modern-day schedule, and a great way to feed a crowd. While browsing on the internet, I’m looking for a kind of dish that makes the rice so different for what I always served to our table every night. White Rice is a common food served in our everyday meal alongside with some delicious dishes such meat, fish or vegetables. This time I want something new and give the rice a little bit of twist. 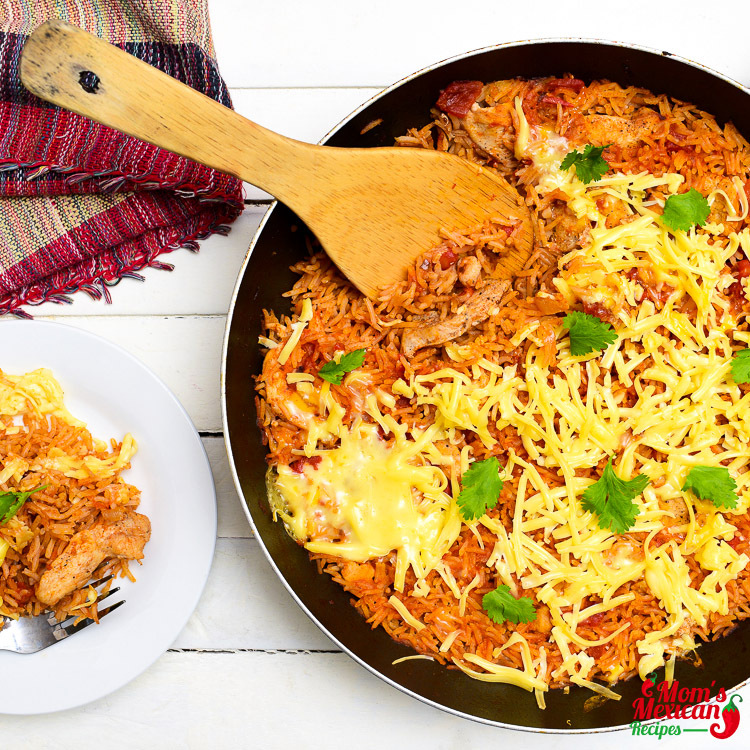 I want to spice it up with this Mexican Chicken Rice dish. In a large skillet (about 12-inch) or pan, sautée onions in two tablespoons of olive oil over medium heat. Season chicken with salt and pepper. 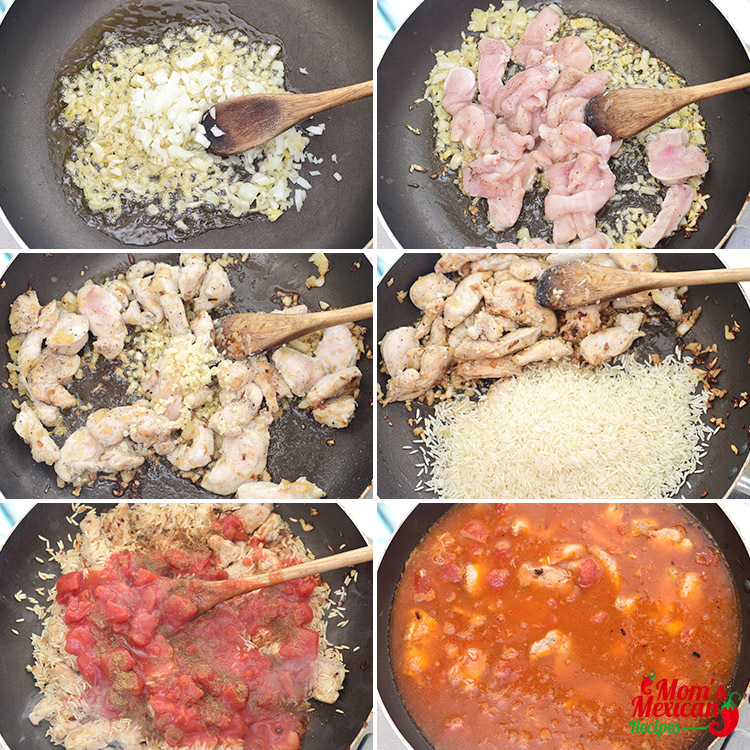 Push chicken to one side of the pan and add an additional tablespoon of olive oil to another side. Add the enchilada sauce, diced tomatoes, water, and cumin. Stir to combine. Bring mixture to a boil then lower the heat to a simmer and cover the pan with a tight fitting lid. Cook chicken and rice mixture covered for about 15 minutes or until rice is tender and the liquid is absorbed making sure to stir every once in a while. 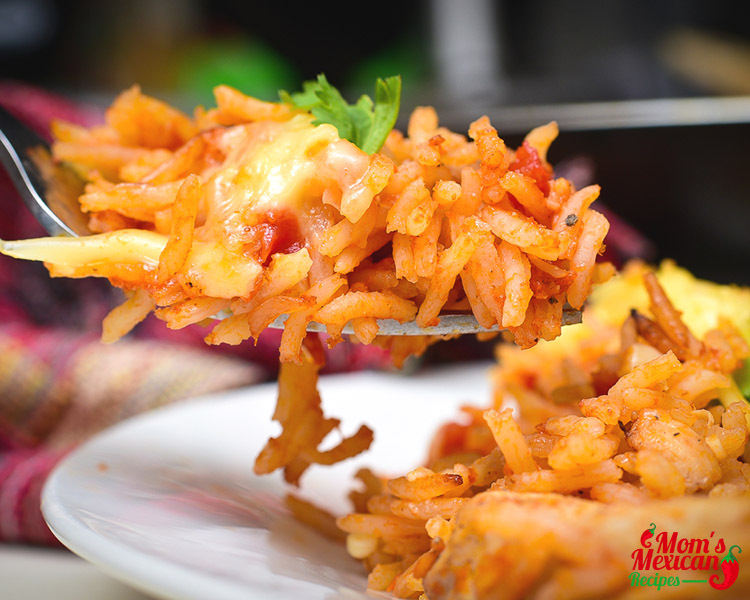 Rice is the most important food (View our Mexican Rice Recipe). Almost half of the world’s population relies on rice as their main food, especially in Asian countries. Rice is a grain and it is the source of essential vitamins and minerals that our body needed. Some believe that the rice came to Mexico from Spain, where it had been introduced by the Moors during their seven-century occupation. 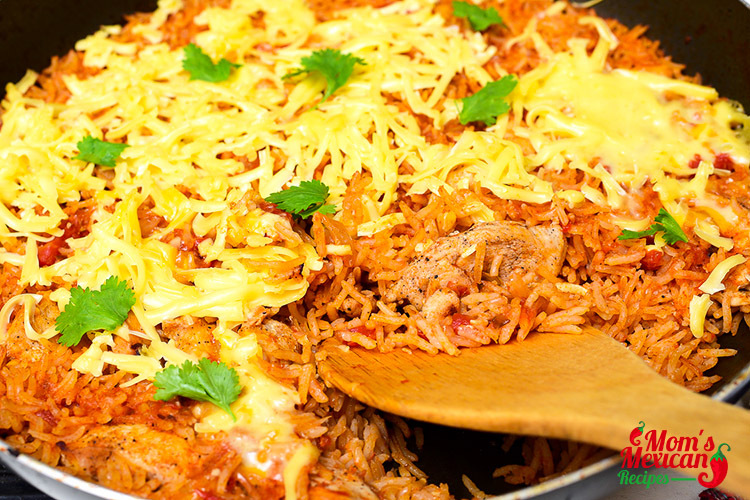 From there rice becomes one of the main ingredients in the Mexican cuisine. 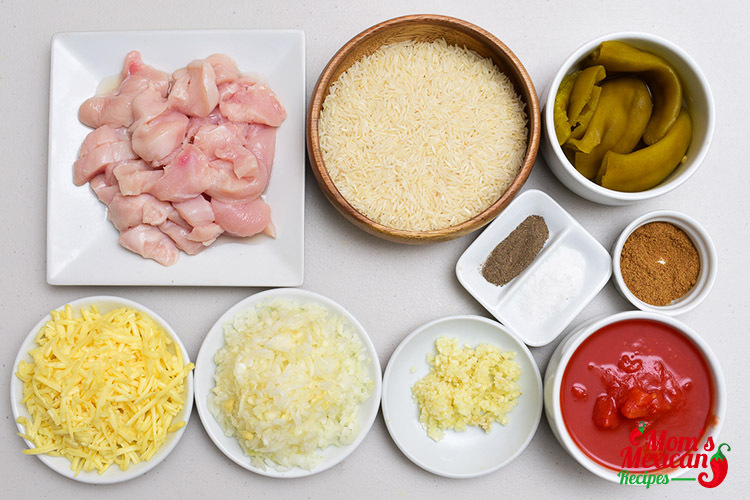 The Spanish rice dishes included onion, garlic, saffron, and nuts, the Mexican Chicken Rice Recipe, this version added others ingredients and spices like fresh and dried chilies. They also added their own creativity on the cuisine. Talking about Mexican Rice, I have a leftover chicken from last night dinner and was looking for a way to use it. I wondered if I could cook Mexican rice with chicken in the same pot. I love to cook one pot meal. Throwing all together dinner is easy and save time for cooking and on clean up. 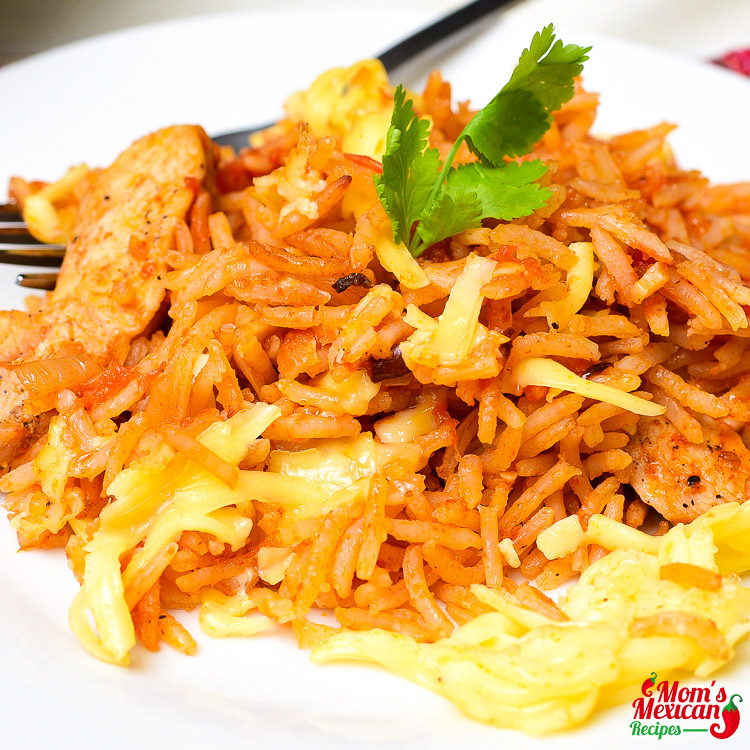 This Mexican Chicken Rice is loaded with flavor and it takes less than 30 minutes to prepare and cook. It is simple, delicious and it tastes wonderful.